Tiger on the prowl. 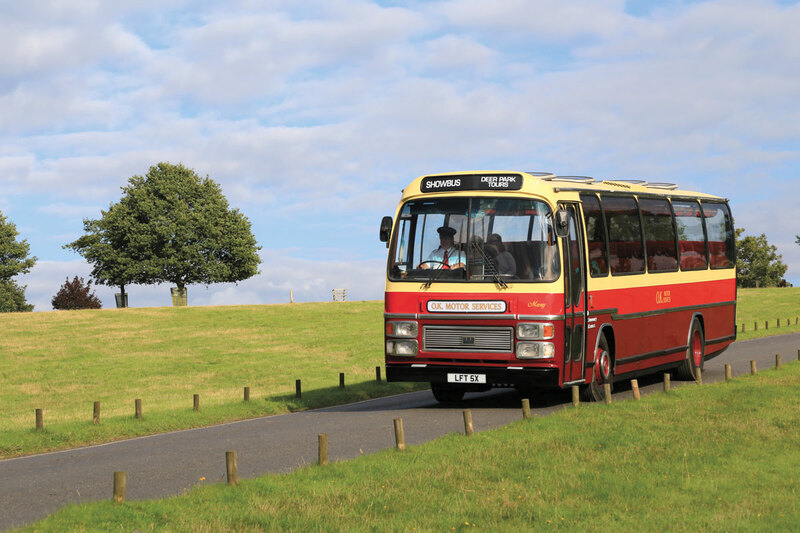 A restored 1982 Leyland Tiger on a tour of the Deer Park. Countryside idyll, 1950s style. Bedford OBs line up near one of Woburn Abbey’s lakes. Recently restored is this Dennis Lancet with Harrington bodywork in the colours of H&C, South Petherton. Sponsor King Long’s vehicle display. An ADL Enviro 400 MMC from Stagecoach Oxford passes the location where several vehicles became stuck in the deceptively soft ground. Two vehicles from the Mike Sutcliffe collection of veteran and vintage Leylands. A 1921 Charabus and the 1913 Barnsley and District S2. It might have been Hyde Park Corner a century ago. 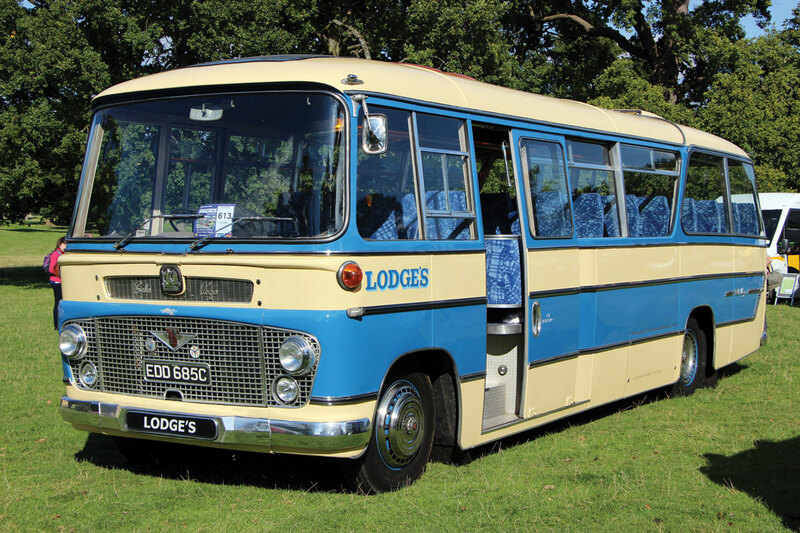 The latest addition to Lodge’s working heritage fleet is this 1965 Bedford SB Duple Bella Vega. 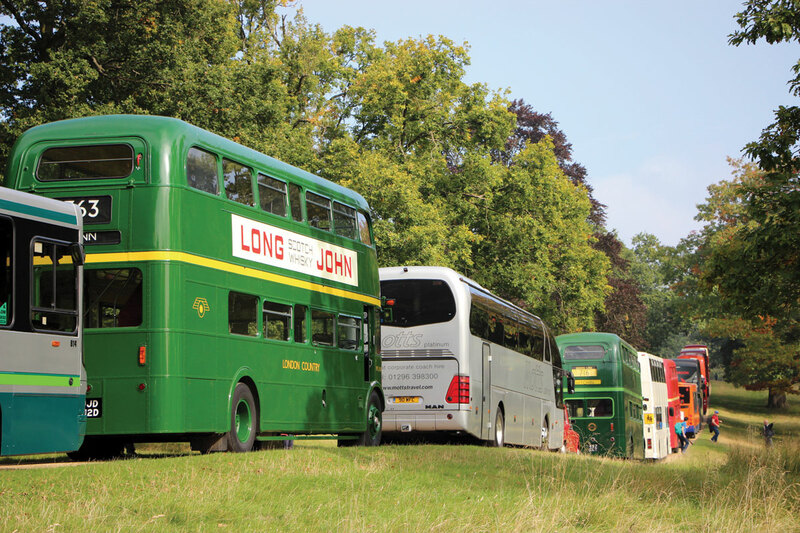 For 2015, Showbus returned to the grounds of Woburn Abbey in Bedfordshire. More than 20 years since the previous rain soaked events there, Martin Isles and his organising team were rewarded with a dry and partly sunny day. However, appearances can be deceptive and following heavy rain earlier in the week, the site’s wide expanse of grass parking area proved soft in places, too soft for some of the visiting vehicles. Several became stuck as they turned off the event’s only access road and needed the assistance of a JCB tractor. Whilst recovery operations were in progress, the queue of entrants built up around the park, eventually spilling out onto the local road network, some drivers talking of taking three hours to get from Woburn Village to their allocated location. The access problems unfortunately overshadowed the delightful parkland location and opportunity to study the wide range of vehicles on display. Vehicle numbers were probably down on previous Showbus events but this was balanced by the quality and variety of those that did make it. 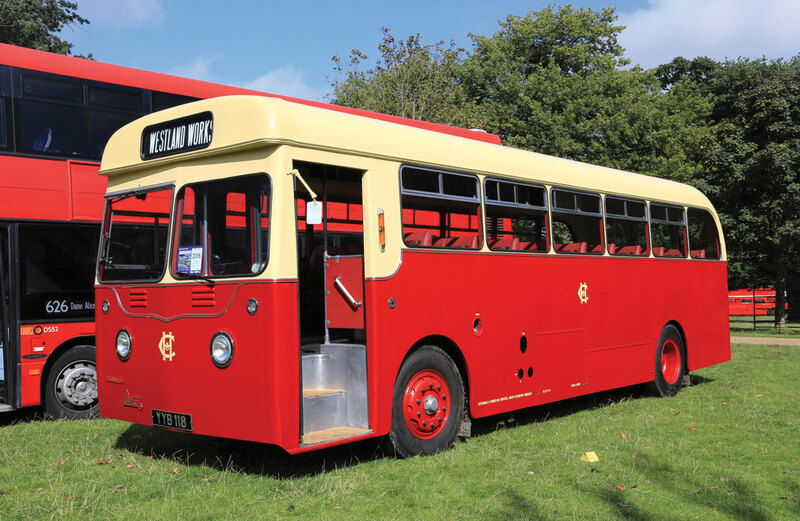 Showbus 2015 promised the largest gathering of pre 1930 veteran and vintage vehicles and all those promised were in place early on the hard standing of Woburn’s coach park. 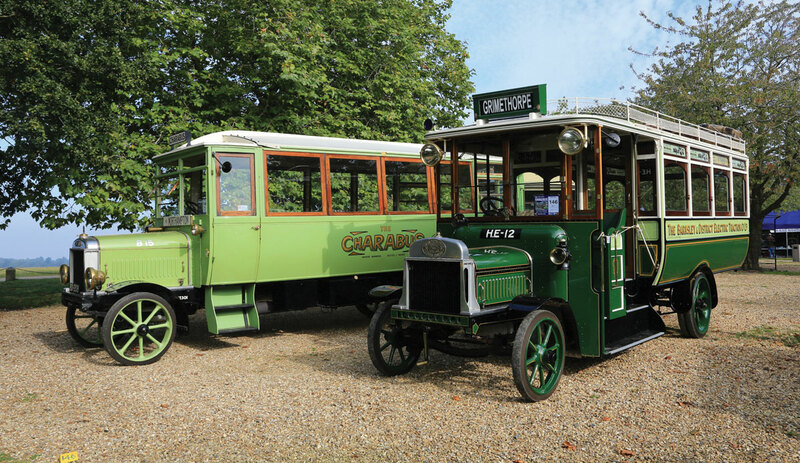 The event marked the handover of the 1914 L&NWR Leyland Charabanc from Mike Sutcliffe’s collection, the first of three immaculate Leylands from his collection acquired by London Transport Museum. King Long UK was the event’s main sponsor and provided three vehicles for inspection. 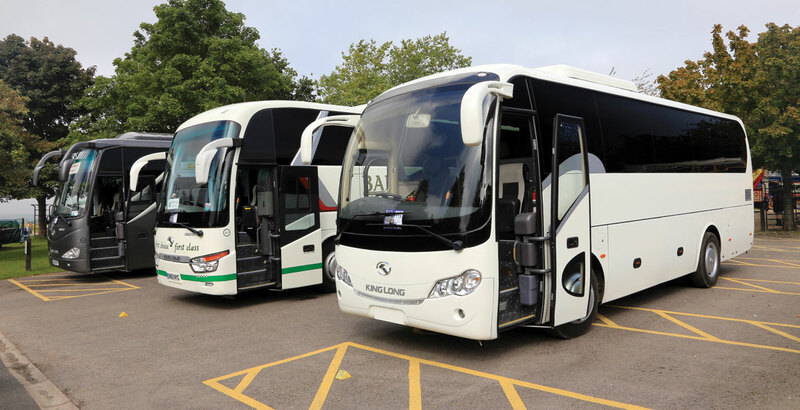 Two high specification coaches, an XMQ6127 and an XMQ6130Y, were from the Bakers fleet in Stoke on Trent where their roles include that of team coach for Crewe Alexandra and Port Vale respectively. They were joined by a recently arrived XMQ 6900 midicoach in stock white. Volvo Bus entered a new Euro6 B8RLE with MCV Evolution bodywork and there was a good selection of modern coaches paraded along one of the park’s roadways. These included Irizar i6s from Lucketts and Truemans, Mercedes-Benz Tourismos from Alfa and Mystic Isle, a Volvo 9700 from North Dorset and a Neoplan Tourliner from Theobolds. National Express showcased current ADL production with the first of their Enviro 200 MMCs and two Enviro 400 MMCs. 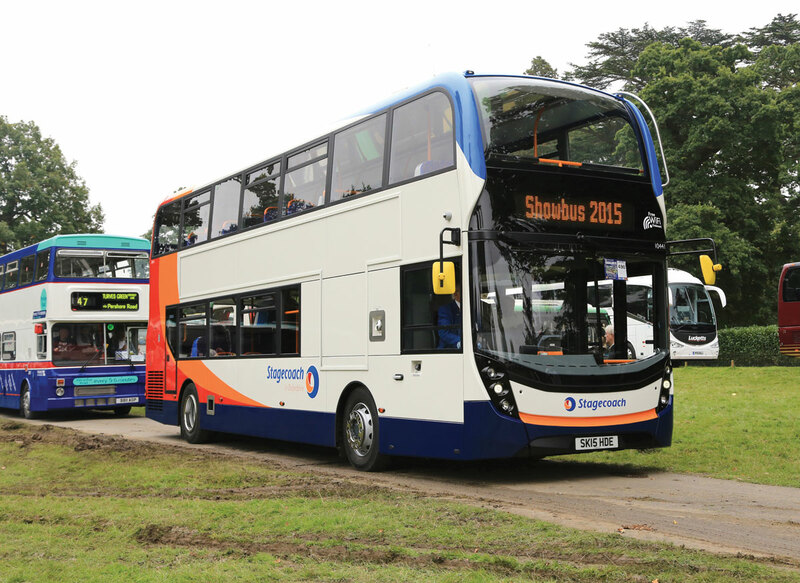 There was another example of the latter from Stagecoach in Oxford whilst Delaine’s latest Volvo based Gemini 3 (contrasting with another bus of the previous style) and a number of StreetLites from Arriva and Carousel demonstrated current Wrightbus production. Promotion for the event referred to Tiger Country and several of Leyland’s 1980s iconic model of that name were on display and in use on the tours around the deer park which commenced once the vehicle queues had subsided. There were Lions as well including Brian Brown’s restored 1928 Leyland model in Eastbourne colours and one of Reading Buses’ latest branded vehicles for the Bracknell service acquired from First. Woburn Abbey is a very attractive location with a range of attractions beyond buses for the Showbus visitor but the limited hard standing does make it susceptible for the weather as memories of the early 1990s recall. Immediately after this year’s event, the organisers posted an appreciation on the Showbus website to all participants for their understanding in the conditions. The message also confirmed that Duxford was no longer an option as the Museum there does not wish to host future Showbus events.